The act of lockpicking may seem glamorous and exciting in the movies or on television; but in many cases it is also illegal. Lockpicking is defined as the art of unlocking a lock by analyzing and manipulating components of a locking device without the original key. Ideally, the act of picking a lock should not damage the lock itself with no evidence that it has been picked. • electronic locks, and much more. Diamond:These picks have a flat “bottom” and have a ramp shaped tip similar to one half of a triangle. They come in various sized tips from small to relatively large. They are useful for both wafer and pin-tumbler locks, and are especially favored for padlocks. A very common pick used by professional’s world-wide. Single Ball: The tips of these picks are completely round and are most often used for single sided wafer locks or warded locks. Double Ball: A double ball pick's head shape commonly referred to as a “snowman” pick since the ball nearest the tip is most often found smaller than the one situated close behind it. These picks are most commonly used for bi-direction wafer locks. Hook: The tip is bent upwards and rounded basically leaving the tip itself with no particular shape. These picks are best used with pin-tumbler locks and are one of the most common used by professionals. Rake: A rake pick generally has a wavy tip configuration, and the design possibilities are restricted only by imagination and what has most frequently been used successfully. Rakes are generally manipulation back and forth across the pins in a lock to create a gap at the sheerline of the lock. These are just some of the required tools to become a locksmith. 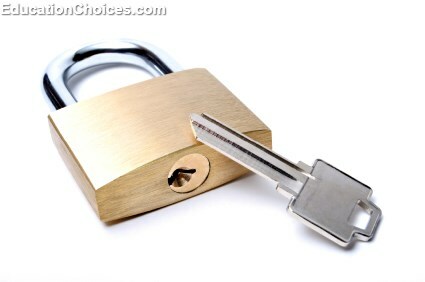 With the right training and hands-on experience, becoming a locksmith is a great career choice for the right person.